With the big names now off the UFA board, many teams are finished shopping, and are now working on the subtle nuances of rounding out their rosters. Yet, there are some teams who have more pressing issues to deal with. Some need to spend to get to the cap floor. Some need to trim a little payroll. While others have monster contracts to work out with big name RFAs. The Ducks will operate on a budget this season, but they are already over the cap floor. Their issues to deal with center around landing some forwards. 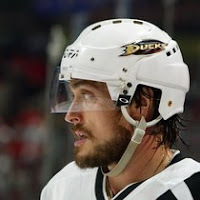 Teemu Selanne will play a gigantic role in how the team will proceed regarding filling their needs. As it stands right now, Anaheim has 8 forwards on the NHL roster. With roughly $12 million available, money won't be an issue, but what players they use it on will be. Selanne showed last season that he still has much to offer, but what will Anaheim do if he retires? Buffalo's new ownership wanted to make it clear to all their fans that they are invested in winning. Spending freely to ink Ville Leino, Christian Ehrhoff, and trading for Robyn Regehr, while bold moves, left the team with about $350k under the cap. The Sabres have just 6 defensemen on the NHL roster, 3 RFAs without contracts and only 1 goaltender at the moment. In the end something has to give. Could they bury Ales Kotalik in the minors, or loan him to Europe? Possibly, but I'm sure that the NHLPA would frown upon the team trading for a player, then banishing him before he ever takes the ice. 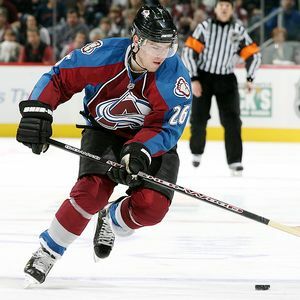 The Avs have taken care of their roster needs quite nicely. Perhaps too nicely, though. With nearly a full roster, Colorado still is roughly $6 million under the cap floor. The team does have a few unsigned RFAs to take care of, but I don't see the Avalache dishing out $6 million + to T.J. Galiardi, Kevin Porter and Cumiskey. Not too long ago, there was talk of the team wanting to rid themselves of Paul Stastny's bloated contract. Now, it appears they will hold on to it for dear life. The Kings would not even be mentioned here if not for Drew Doughty. But, it's Drew Doughty we are talking about. Los Angeles made some big moves this off-season. They traded for Mike Richards, then signed his former Flyers teammate Simon Gagne, which should pay big dividends for the Kings next spring. Yet, an even bigger story looms on the blueline. L.A. has $11 million...ish under the cap. 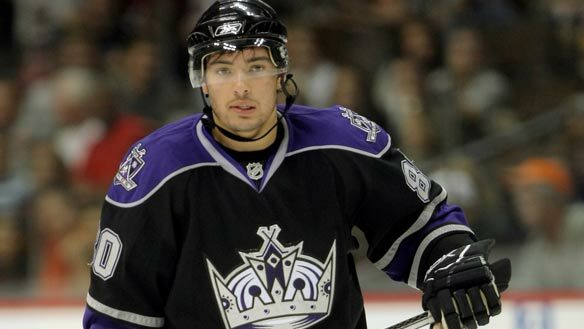 Signing Doughty will happen, but when, and for how much remain questions. The regular rounding out will happen too, but keeping the franchise defenseman long term is top priority. What I just said about the Kings... just transpose Nashville and Shea Weber for Los Angeles and Doughty. 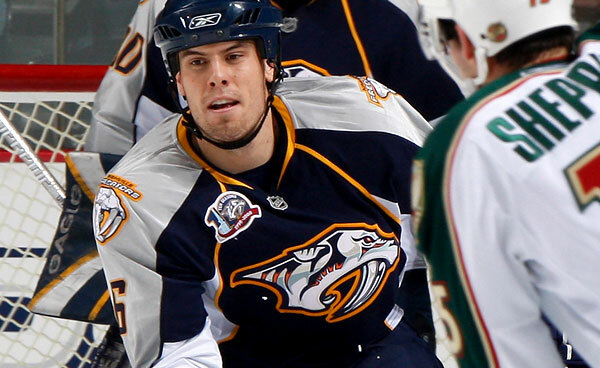 The Predators will use Weber's deal to push them past the cap floor. It will be interesting to see how Nashville approaches signing their franchise and team captain. Will they seek to keep a limited term, or a lifetime/Ovechkin type contract? Either way, his deal won't throw the team budget off course. The Preds will slink off into winter oblivion, then in April the rest of the Western Conference will pray not to be paired with Nashville in the first round of the playoffs. Just imagine what a Nashville team could do under Barry Trotz if they could spend to the cap max! Last year at this time the Devils were about to become the poster child for salary cap goofs. Yet, after a rough beginning, ol' Lou began to right the ship, and now things don't seem so bad on the cap front. New Jersey has yet to reach a deal with star winger Zach Parise. The team has roughly $7.8 million available for Parise and a few spare parts. Considering that Brian Rolston's bloated cap figure is gone after this season, it's seems likely that the team and Parise will get a long term contract done. Throw in the fact that Parise missed nearly all of last season to injury, and you have a negotiation full of intrigue. With approximately a zillion dollars in cap space before the start of free agency, it was thought that the Islanders could be big players in the market. Yet GM Garth Snow showed restraint in an inflated marketplace, signing only forward Marty Reasoner from the UFA pool. The Isles remain a little more than $10 below the cap floor. Keeping super prospect Nino Niederreiter with the big club would eat away $3 million. 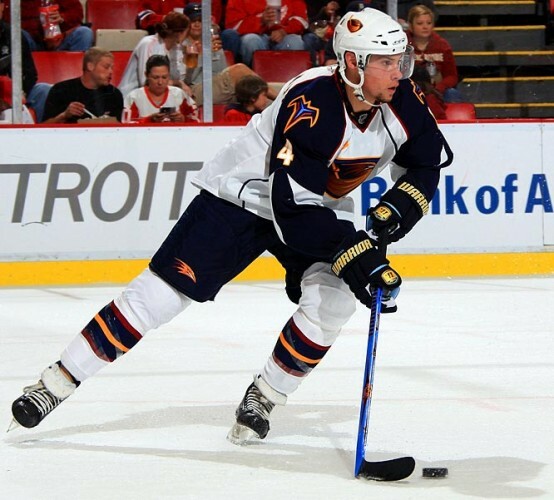 Signing RFAs Blake Comeau, Josh Bailey, Michael Haley and Ty Wishart may take up the rest. However, don't rule the Islanders out of the trade market either. The best values of this off-season have often come via the swap meet. A solid vet or two added to the talented young core could launch this team back into the playoffs again. The Rangers landed the UFA grand prize when they agreed to a new deal with center Brad Richards. the team also added grinder Mike Rupp, but they are far from done this off-season. New York has a premier crop of RFAs including heart and soul Ryan Callahan, Brandon Dubinsky and Brian Boyle, that they must sign, or move after the arbitration process. A pair of defensemen need to be added as well. Though not in dire straights, the $12 million in cap space they current possess may not be enough to get the job done, forcing the Rangers to create additional space by, say... buying out the remainder of Wojtek Wolski's $3.8 million cap hit? 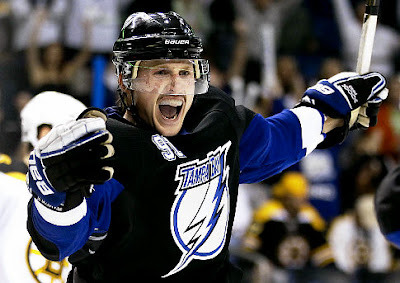 Tampa Bay can complete it's NHL roster by signing RFAs Teddy Purcell, and some guy named Steven Stamkos. They have $14 million available this season to do it. Few players have created the stir that Stamkos' RFA status has this off-season. Message board users, newspaper reporters, bloggers, fans and dreamers around the hockey world have imagined scenarios involving their team landing Stamkos. That's all well and good, but a pipe dream. Stamkos has scored 96 goals over the past two seasons. Players of that caliber will invite all sorts of takers, but no one, and certainly not the Lightning are interested in giving them away. 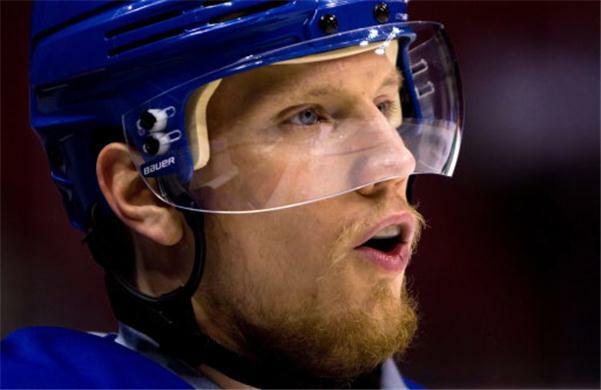 One thing is certain, Stamkos will get big money. 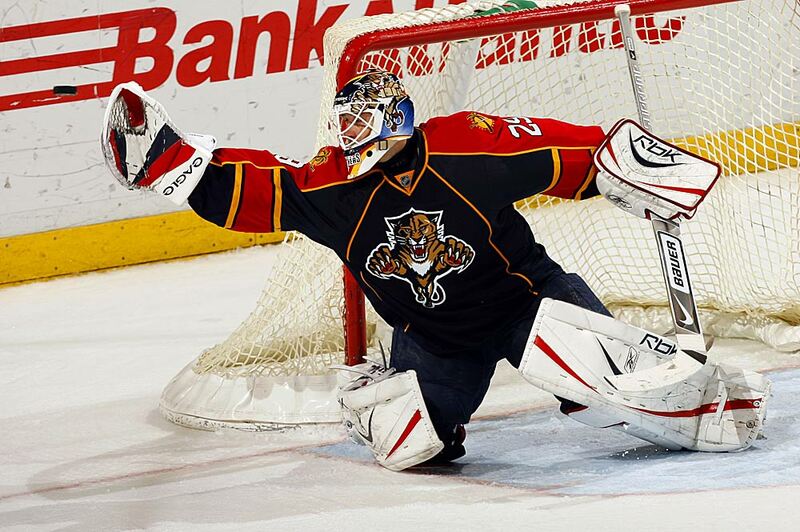 The thing to watch will be how long the Lightning extend themselves for the budding superstar. The Caps made a lot of moves to toughen up their lineup. Bringing back Brooks Laich with a hefty pay raise was only the beginning of a free agency period that say the team haul in the likes of Joel Ward, Troy Brouwer, Jeff Halpern, Roman Hamrlik, and the pièce de résistance, goaltender Tomas Vokoun. All these moves come with a cost. One of their best young talents, defenseman Karl Alzner, remains unsigned as a RFA. To make room, as this article was being written, Washington traded forward Eric Fehr to Winnipeg, to clear cap room. With a slew of top flight free agents looming next year, don't be surprised to see GM George McPhee make moves to secure the team's long term future. The aforementioned Jets just traded to add feisty forward Eric Fehr. But even with the new edition, the Jets remain under the cap floor. 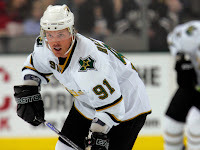 Still the team must make a few decisions regarding some young RFA talent. Once regarded a future franchise player, opinions now vary regarding defenseman Zach Bogosian. It would not be a shock if management and Bogo's representatives were not close on a new contract at the moment. Winnipeg must also decide what to pay Blake Wheeler, Ben Maxwell and Brett Festerling. As Thrashers, those players would likely be moved over money concerns, but as Jets, they may be given the opportunity to grow in the system. True North has shown little inclination to loyalty to the old regime, so it's tough to predict what will happen between now and the start of the season. Yet, as this off-season has shown all of us, anything can happen. I think that it is great that there are many things left to do before the end of the season and we are waiting for amazing stuff to happening at the Host PPH community.